Yesterday, the Google+ Help Page alerted its G+ followers that Hangouts on Air have a new look. 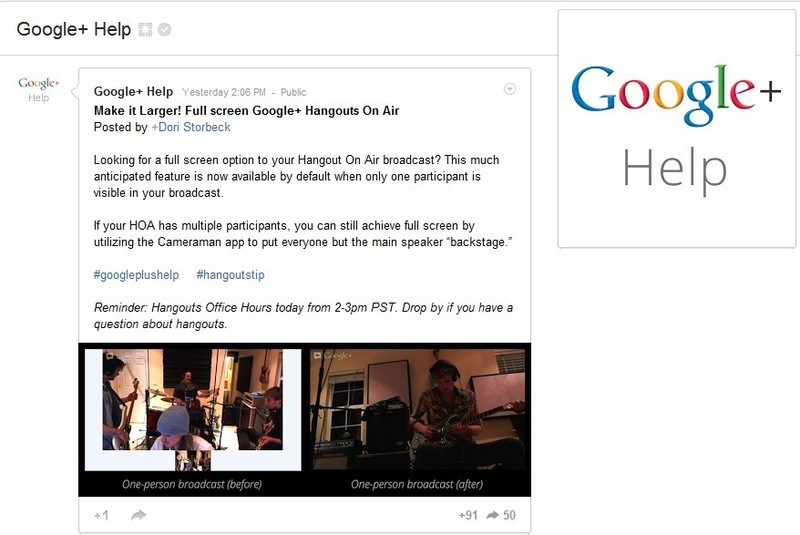 The Hangout is a feature of the growing Google Plus network. 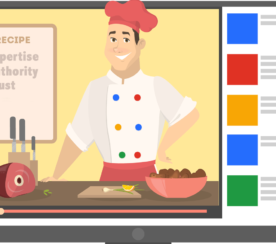 You can start a hangout at will from your profile, your business page, or by clicking the hangout icon in the left margin of G+. You can access YouTube videos, screen sharing, text chat and even add special effects while you are chatting. The hangout for most users is, however limited to 10 people, the host and 9 participants. A regular hangout is visible only to the 10 people included, and is by invitation only. Think of a normal hangout as a gathering either in your living room with friends or in the conference room with your co-workers. The only ones to ever participate are the ones in the room. 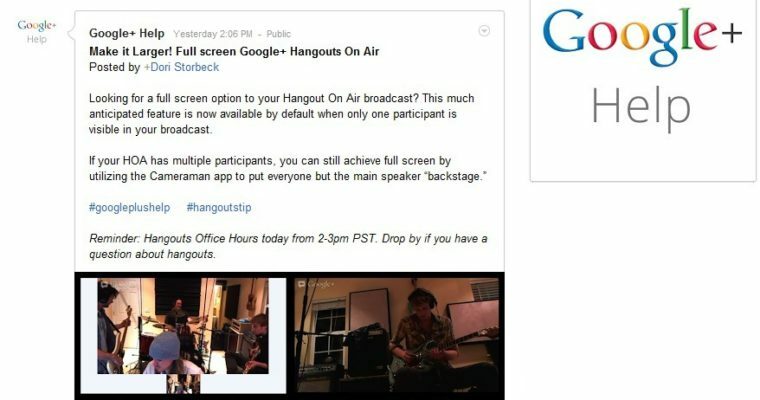 Hangouts on Air take the concept public and let others see the event both live and recorded for later viewing. 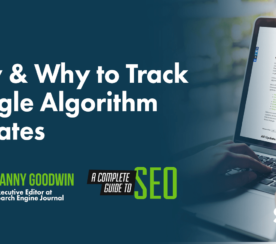 The video streams from your Google Plus account to your YouTube channel, where its saved and is available to be viewed later. Hangouts on Air have all the functionality of the regular hangouts with screen sharing, text chat, and up to 9 other video participants. Sharing the live event is as easy as sharing your YouTube URL. And with the update to a full screen default, your hangouts will look far more professional. Do Hangouts on Air inspire your creativity? 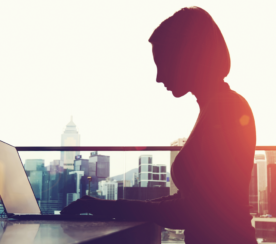 Did you think webinars and training right away? How about marketing? Leave us your thoughts below.